Our warehousing capacity allows us to provide you with inventory management programs that give maximum value with minimal investment in warehouse space. 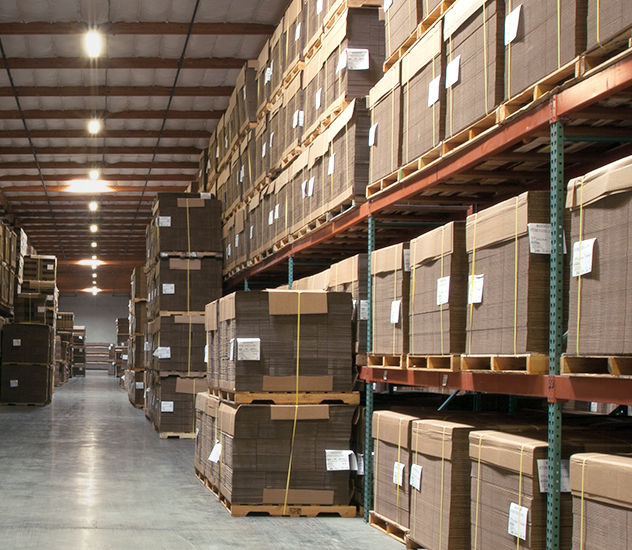 After your packaging is manufactured, we can store it at our facility and deliver when you need it. Our proven split shipment and J.I.T. systems include extended hours, flexible scheduling and rapid delivery with our fleet of company-owned trucks. Wide selections of common box sizes are also available for off-the-shelf service. Our drivers are long-term employees with an average of 15 years’ truck driving experience. From lift gate delivery, small trucks in residential neighborhoods, or a tractor-trailer for large loads, we can handle it. Our shipping department utilizes our expansive fleet to handle your specific delivery needs and requirements.